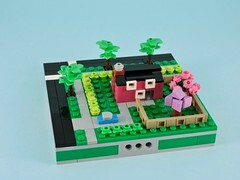 My favorite thing about LEGO Ideas are the original sets, so it was no surprise that I really enjoyed the 21301 Birds set when it came out. At the time, I commented that I would have liked to see a whole line of bird sets, but is wasn’t in the cards. 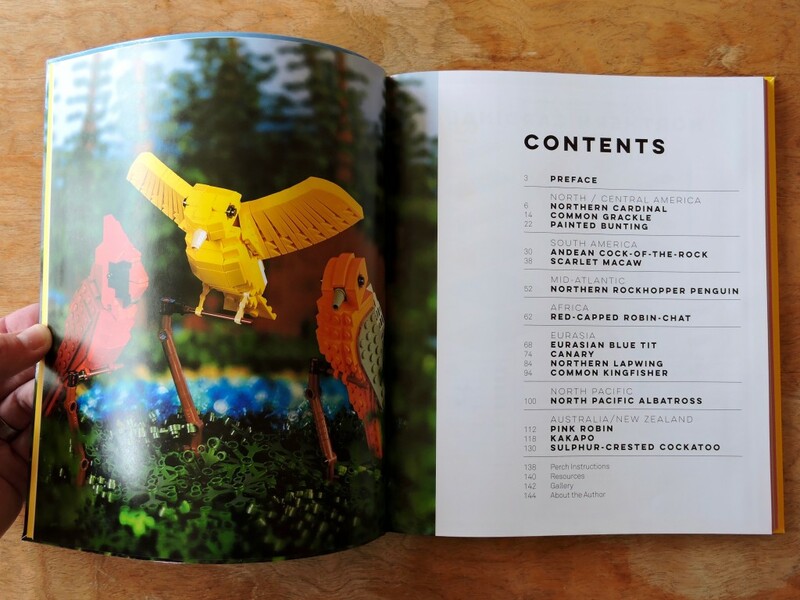 Thankfully, there is a new book out by Thomas Poulsom (whose models led to the set) on how to build birds. 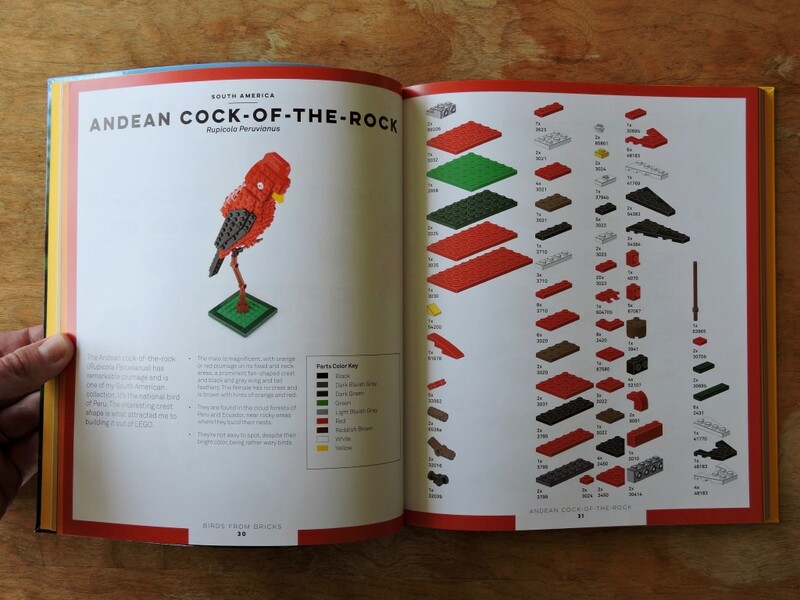 This book has fifteen different models in it, based on birds from all around the world. They are nicely grouped by region. The variety is lovely, with a range of sizes and colors. I think that anyone who enjoys birds would find multiple models that they’d love to build and display. Each set of instructions starts with a picture of the finished model and some notes from the author. There are also bird facts and a handy color key. The next page is a detailed inventory of the parts that will be needed. Though Thomas’ building style relies heavily on snot techniques, the parts he uses are reasonably common. 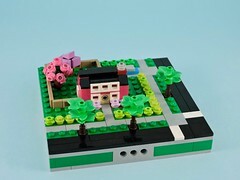 There is nothing quite so annoying as realizing that the cool model that you want to build will be sending you to Bricklink for obscure and expensive elements. 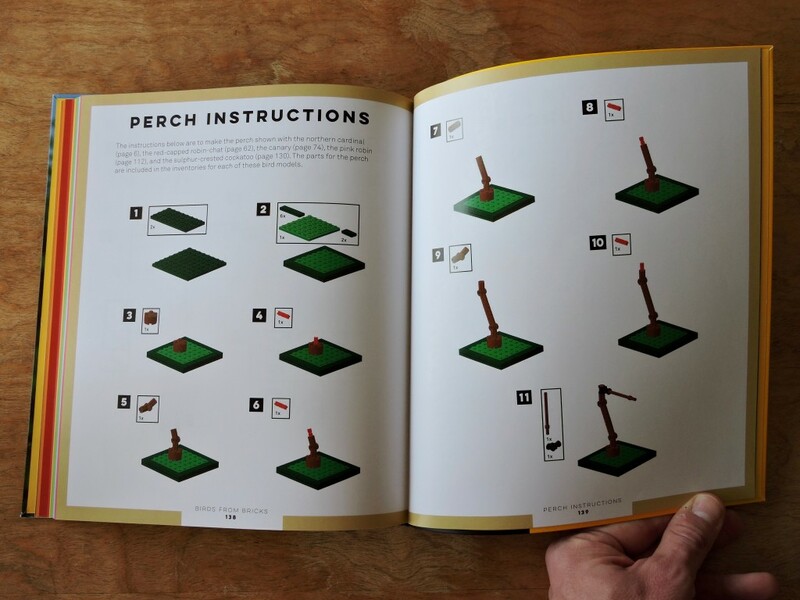 Most of the models use the same perch design, so those instructions are in an appendix to avoid repetition. Also note that the page edges are color coded to make finding the sections easier. Beyond that there are a couple of pages of reference photos in the back to show what each of the birds looks like in real life. I would have liked a bit more discussion of the techniques that the author utilized in his models, but the instructions alone are a treasure trove of interesting techniques. 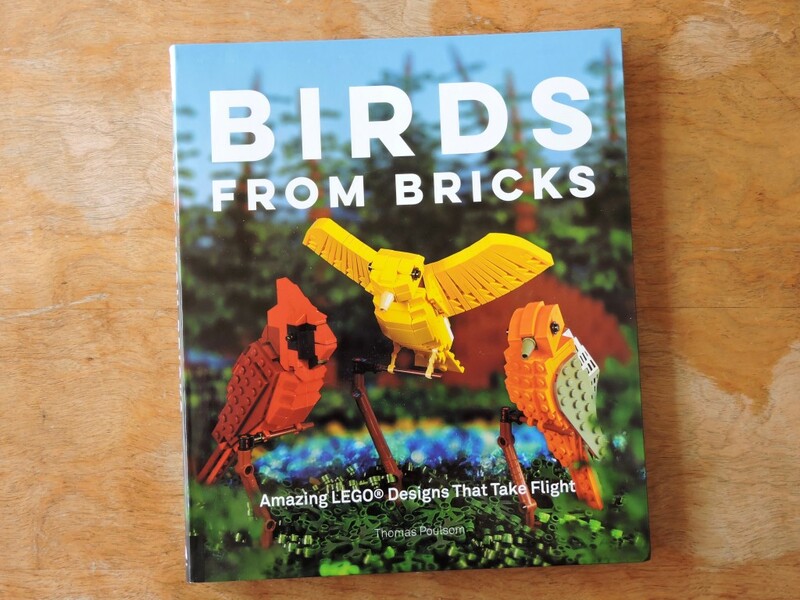 This book is a perfect companion to the Birds set and a fine addition to any builder’s library.